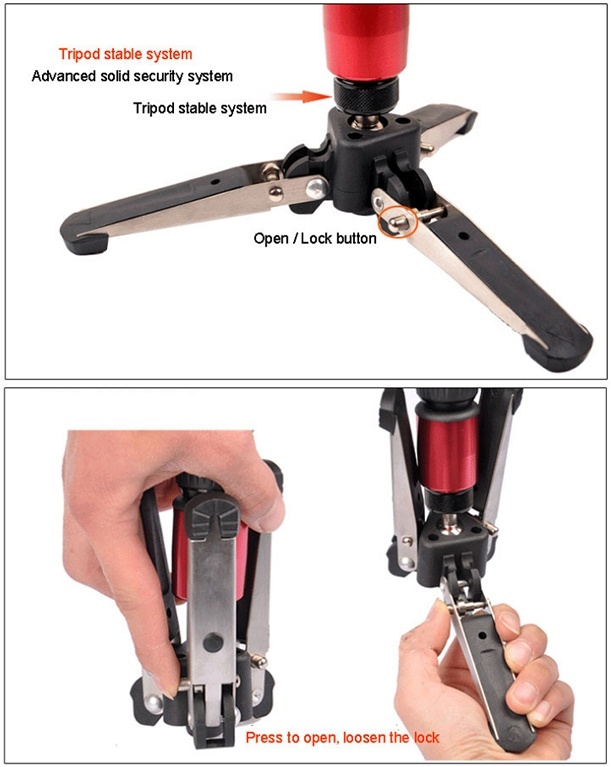 _ An universal design mini tripod feet which support any monopod with 3/8" screw. The rotation foot pad is able to tighten the ball. It can be fold by pull the button, easy for carry. The foot with rubber design, more stable. It is also compatible with any other brand monopod which get a 3/8" screw.